This morning, Charlie Martin has a post over at PJ Media that expands on the economic wisdom in Pablo’s reply. A single column of the paper version of the Times costs between 1¢ and 10¢ to print; delivering a similar amount of advertising, with full-color graphics and even video, costs between one and ten million times less, and can be targeted to the guy who just googled for fly-fishing gear instead of everyone on the Upper West Side. When your competition can deliver a better product for 0.000001 times as much, your business model has big problems. Liberal journalists do not want to admit that their political bias may be a major reason for their industry’s decline, but when the money crunch hits, they insist that their work is valuable to “democracy.” But what did BuzzFeed do to attract hundreds of millions of dollars of investment capital? Quite simply, they figured out how to game the Facebook algorithm for cheap hits with clickbait, which might have been good for BuzzFeed’s traffic numbers but didn’t do anything in terms of creating an informed citizenry. It seems to me that BuzzFeed’s core problem is that it can generate lots of clicks, but those clicks don’t generate successful advertising impressions. BuzzFeed’s cost per million views may be dirt cheap, but the cost per sale seen by the advertisers is too high. The site’s product does not attract serious, qualified eyeballs for its advertisers. One of the consequences of a free market is that our competitors are free to out-compete us. So BuzzFeed is laying off 400 employees, 15 % of its staff. That means that they had close to 2,700 people on the payroll. Now, Stacy and I haven’t been able to lose millions of dollars a year of other peoples’ money, but our blogs have generated modest profits. The Other McCain operates with one full-time and two part-time bloggers. Hogewash! gets by with me part-time and the occasional assistance of members of the Vast Hogewash! Research Organization. To paraphrase Instapundit: You’re gonna need a smaller blog. UPDATE—This blog is a for-profit operation. 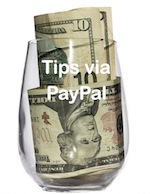 While I don’t sell outside advertising, I do have a Tip Jar, I sell stuff via The Hogewash Store, and I have links to Amazon which earn a commission. And we have another bombshell that’s a dud. It’s seems that there is no evidence to support the BuzzFeed story about Donald Trump ordering Michael Cohen to lie to Congress. One of the bylined reports has admitted that he’s seen nothing. No one else has been able to confirm the story. Oh, and the Special Counsel’s operation has disputed the report. Those reporters and the editor responsible would probably be better suited to an outlet such as Breitbart Unmasked Bunny Billy Boy Unread. I hear there may be one or more openings there. A deadline has passed. More approach. Somethings are proceeding even better than I have foreseen. T-minus 1 day and counting.